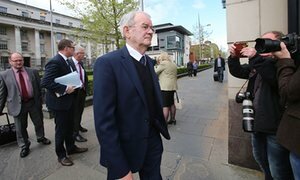 A man who survived an IRA massacre of ten Protestant workmen believes state agents may have been involved in the attack, a coroner's court has heard. A lawyer for Alan Black made the claim as preliminary proceedings got under way ahead of a new inquest into the Kingsmill shootings in 1976. Ten textile workers were shot dead by the side of a road near the Co Armagh village after masked gunmen flagged down the minibus they were travelling home from work in. The killers asked all the occupants of the vehicle what religion they were. The only Catholic worker was ordered away from the scene and the 11 remaining workmates were then shot. Mr Black survived, despite being shot 18 times. He was the only survivor. 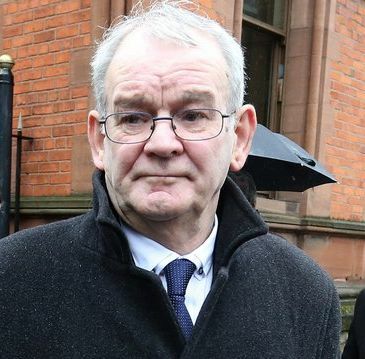 At the first preliminary inquest hearing in Belfast's Old Town Hall, barrister Eugene McKenna, representing Mr Black, told Northern Ireland's senior coroner John Leckey that his client suspected state involvement. "Mr Black believes there may have been agents of the state involved in the attack itself," he said. Mr Leckey said he had read Mr Black's account of what unfolded on the day and had been shocked. "It's difficult really to take in the horror that he experienced," he said. The coroner added: "This was one of the most horrific incidents in the so-called Troubles and I'm sure not only for Mr Black, but for the families [of the dead], the horror of what happened is still very much to the forefront of their minds." There were 12 men in the gang that committed the attack. The ten men who died were John Bryans, Robert Chambers, Reginald Chapman, Walter Chapman, Robert Freeburn, Joseph Lemmon, John McConville, James McWhirter, Robert Samuel Walker and Kenneth Worton. The court heard that Richard Hughes, the Catholic man who managed to escape the carnage, has since died. The IRA never admitted responsibility for the murders but an investigation by the police's Historical Enquiries Team (HET) three years ago found that members of the republican organisation did perpetrate the attack, motivated purely by sectarianism. Northern Ireland's Attorney General, John Larkin, ordered the fresh inquest last year after a long campaign by bereaved relatives.